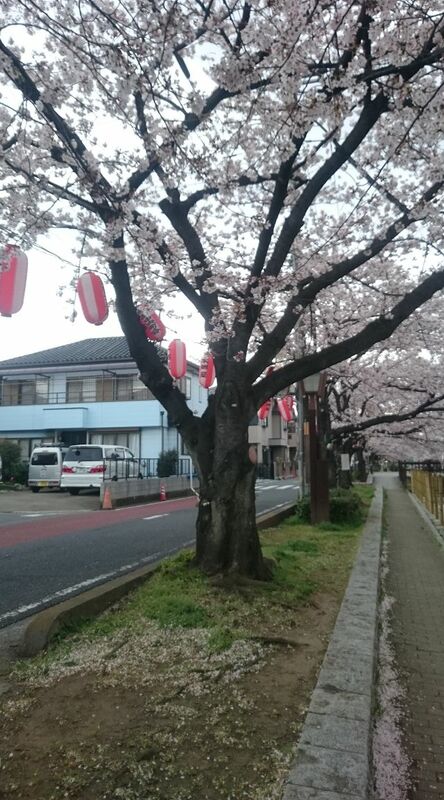 You can look at pictures of cherry blossoms or walk by yourself under the beautiful trees, but an official hanami is the most fun. 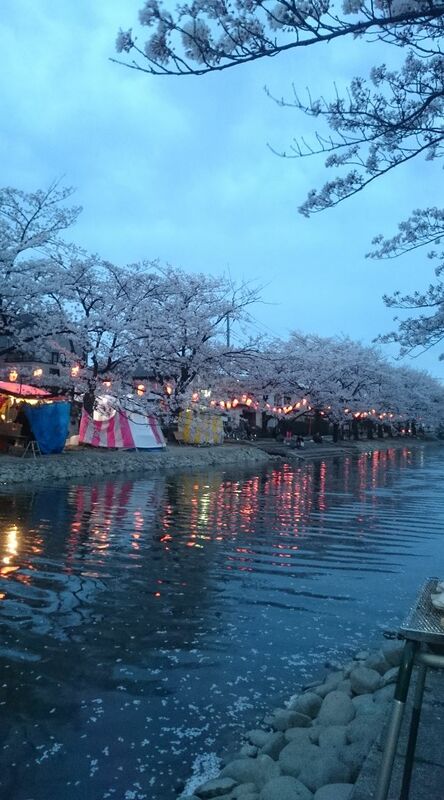 Last week the Hanami of the company my husband works for took place and every year anew it is cause for anticipation and on the day after for a lot of headaches. 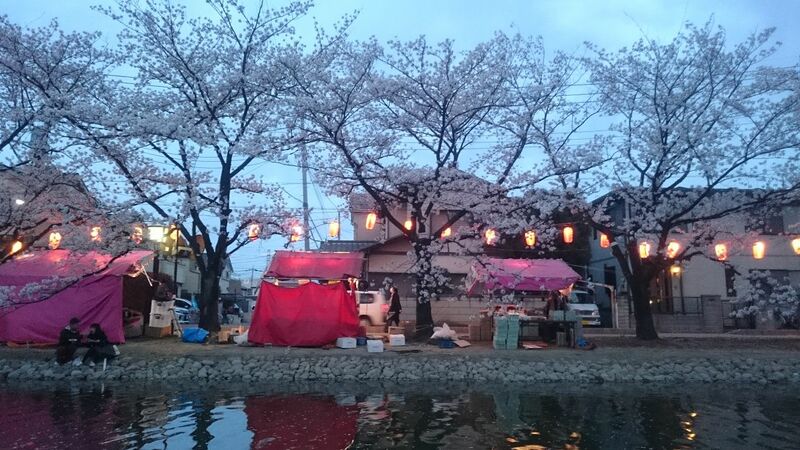 But before everyone can gather at the Hanami spot there are some preparations to take care of and so the night before saw us preparing barbeque skewers, kushiage, salads and drinks until past midnight. 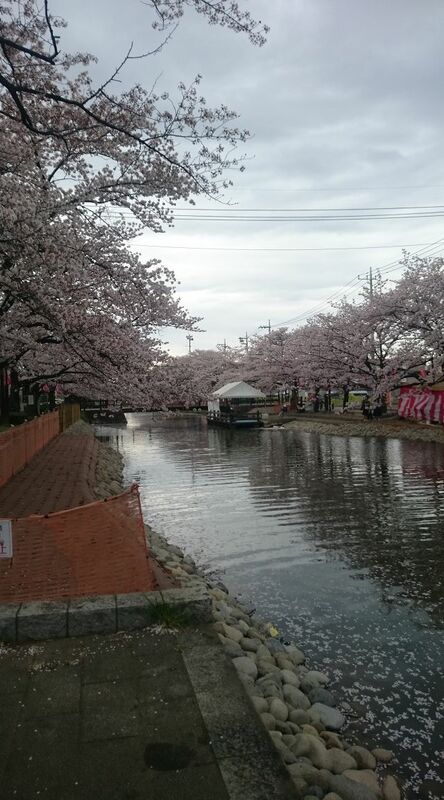 Probably every japanese town has at least one place that is supposed to have the most beautiful cherry blossom trees and which is therefore suited perfectly for the yearly hanami. 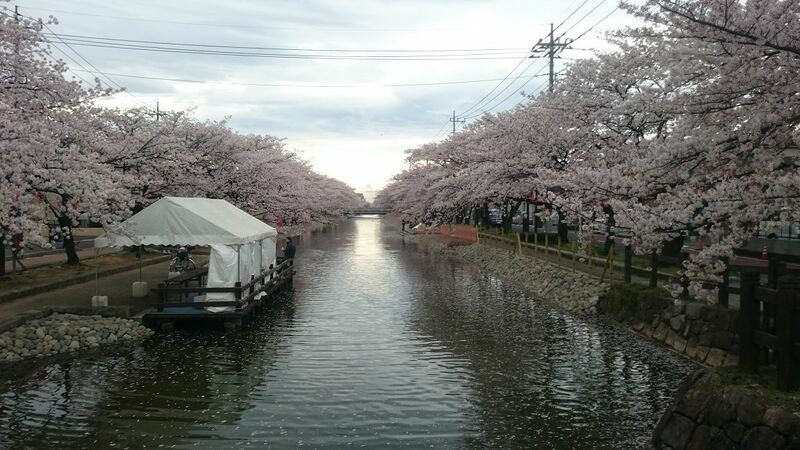 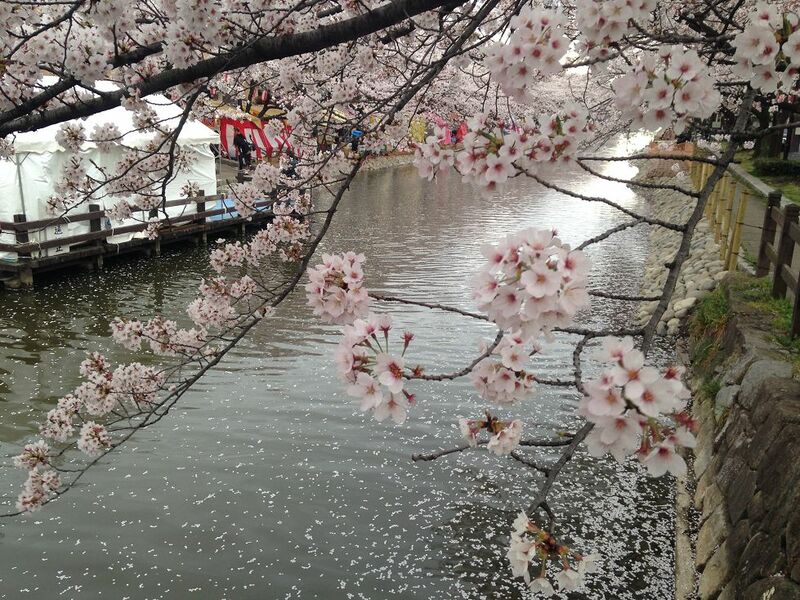 In Sôka, as in many towns, those places are along the rivers and canals which are lined by cherry blossom trees that are there since the Edo time and reach over the river with their rich treetops. 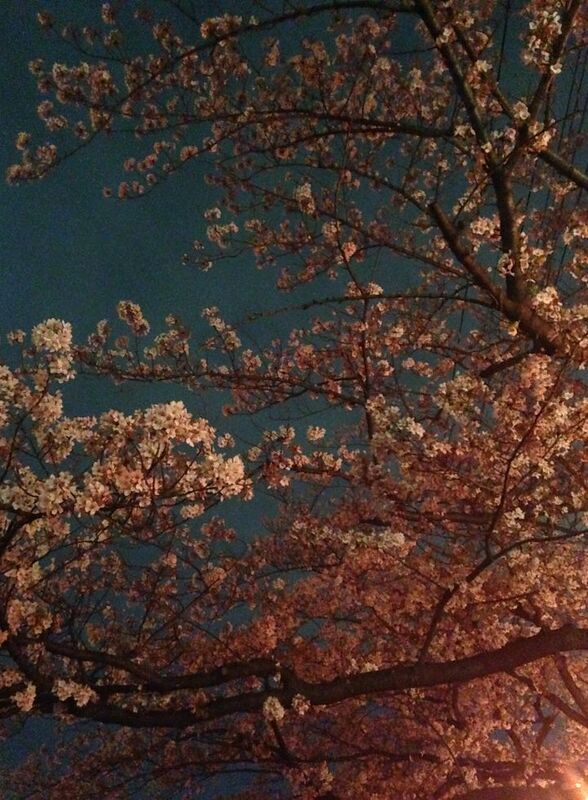 The view really was impressive and somehow even in my head I got very un-original and could only think of the word “beautiful”. 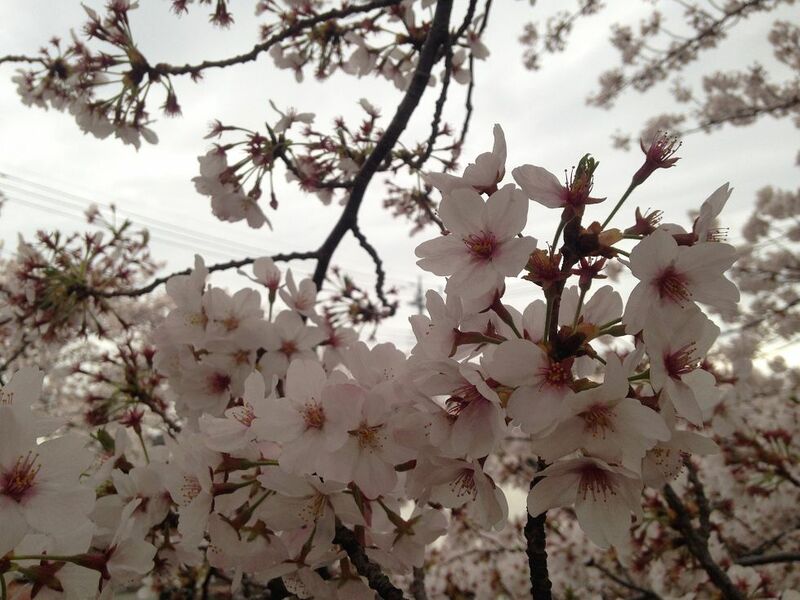 Lucky for us there were still blossoms left to see because after the rain and heavy wind the days before we were’nt sure if they were still in a good state. 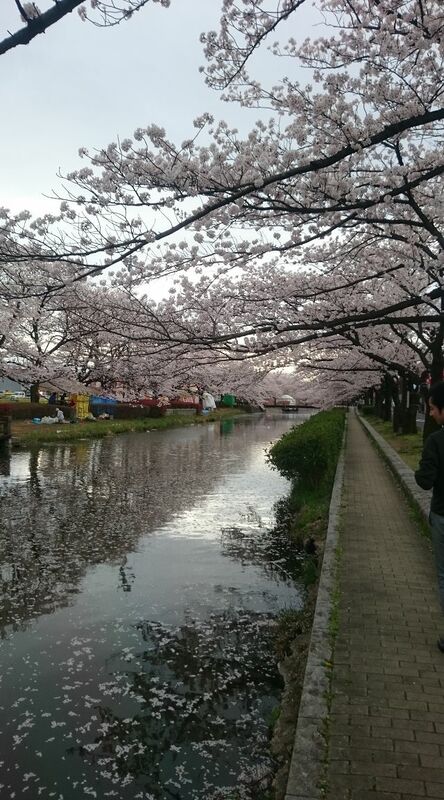 The river was sprinkled with fallen blossoms but if anything it made the view even more beautiful. 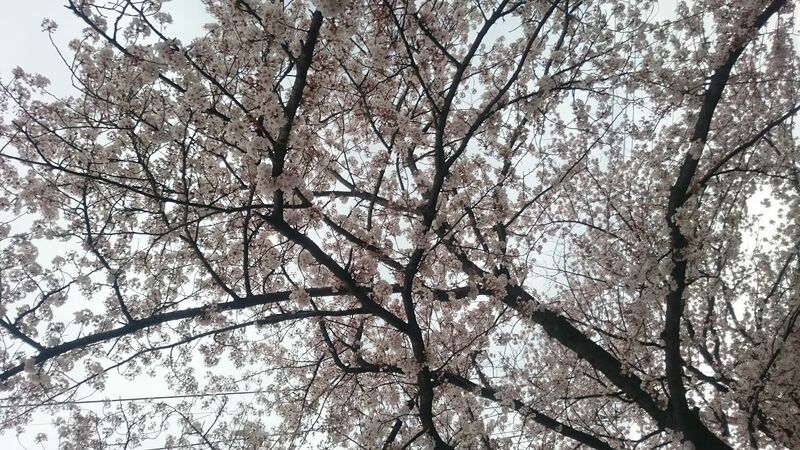 But Hanami is not only the admiration of the gorgeous trees but also of the get together and of course the food. 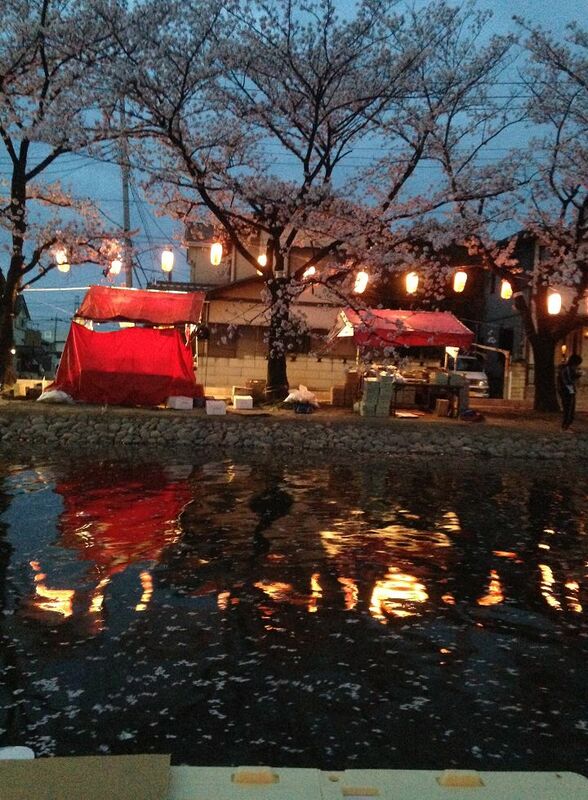 To have a cozy space the traditional plastic covers were spread out on the ground and plastic boxes made impromptu tables. 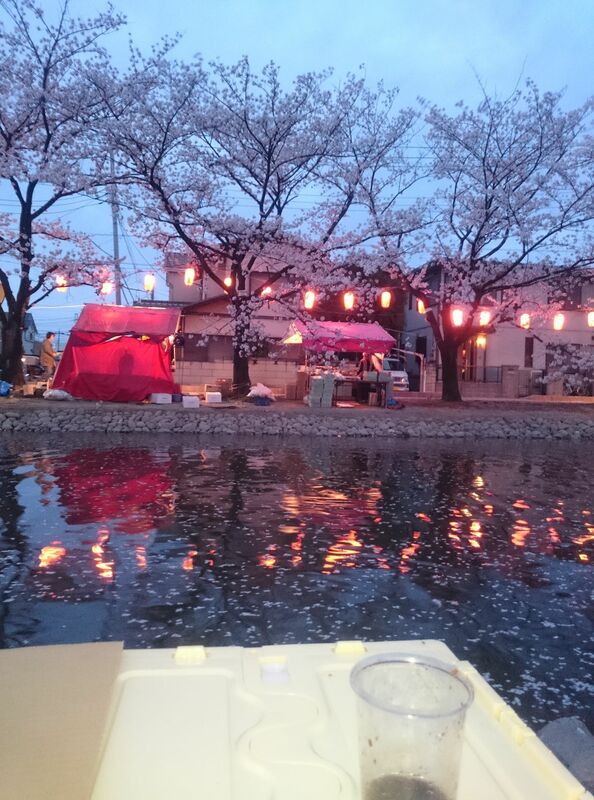 There were three barbeque grills and one gas burner to deep fry the kushiage and provide everyone with lots and lots of food. 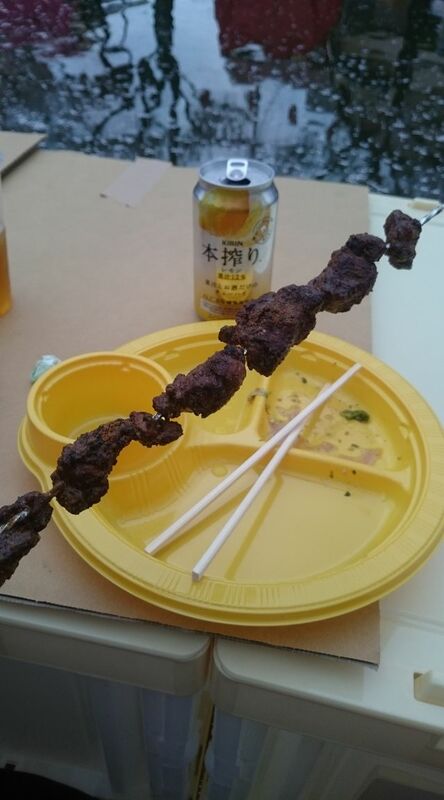 Beside the barbeque skewers there were salads and tuna sashimi passed around and especially the kushiage were really good. 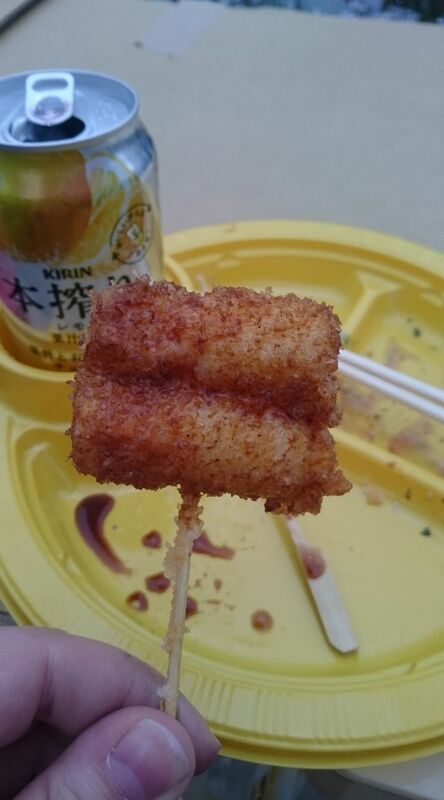 Kushiage means “Skewer deep fry” so basically everything that you can put on a skewer and deep fry can be called kushiage, but mainly it’s meat and fish. 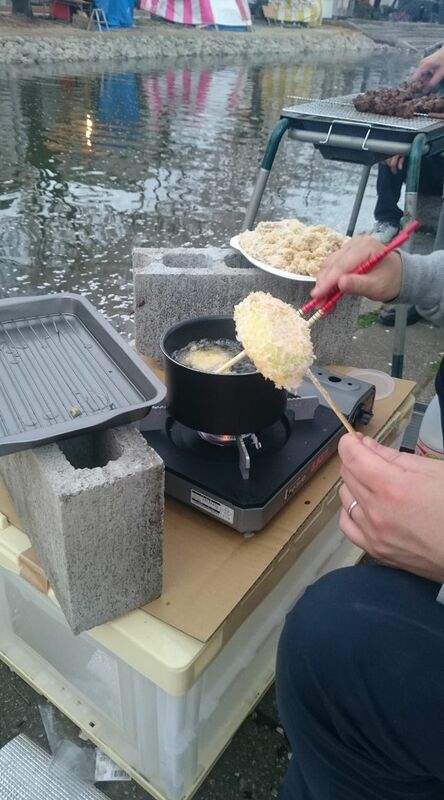 The boss of the company was in charge of them and deep fried meat, fish, shrimps, mossels and lots of vegetables. 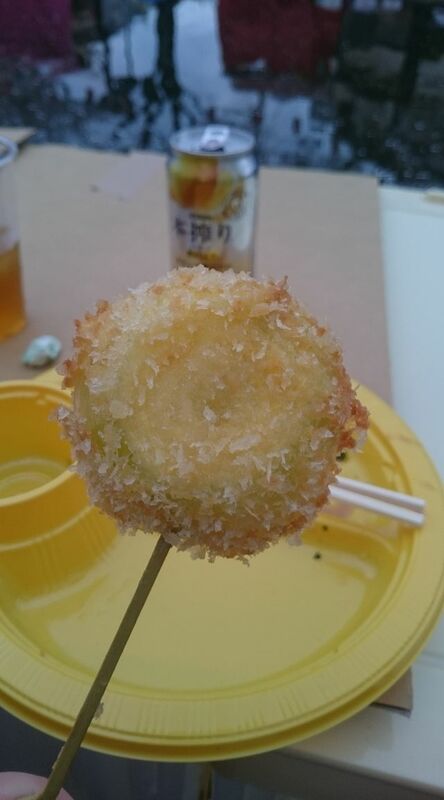 My favorites were the fried spanish onions and the cheese filled Chikuwa. 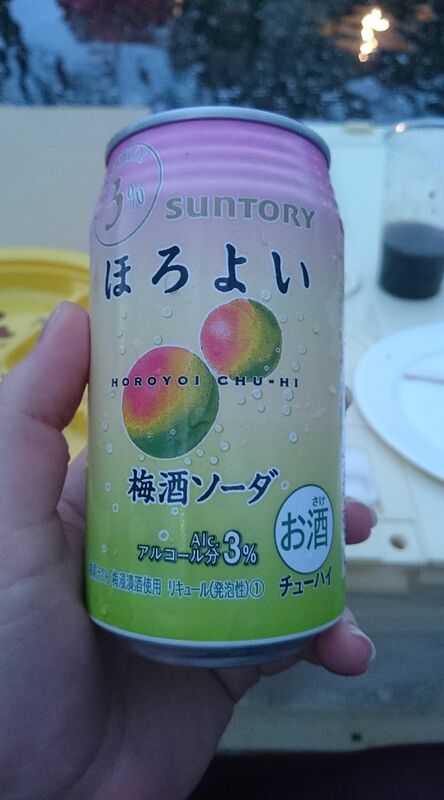 But of course there was also a lot to drink, ranging from soft drinks over beer, selfmade sangria to sake and lots of longdrinks. 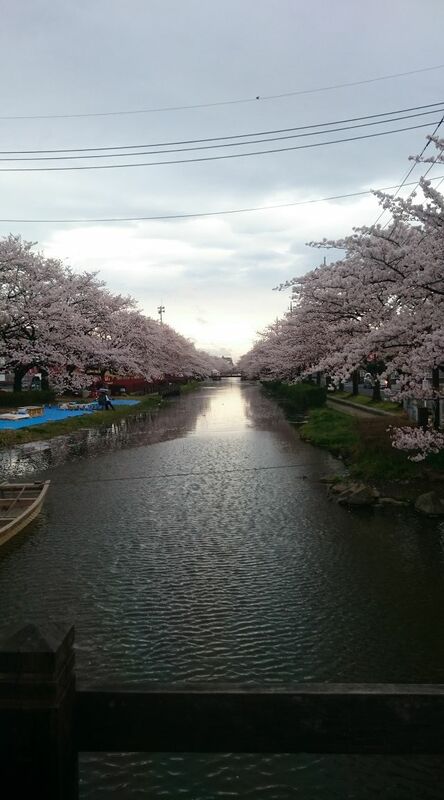 Because the Hanami started around four in the afternoon it became dark real quick, but with 20-23 degrees it was still very pleasant and comfortable. 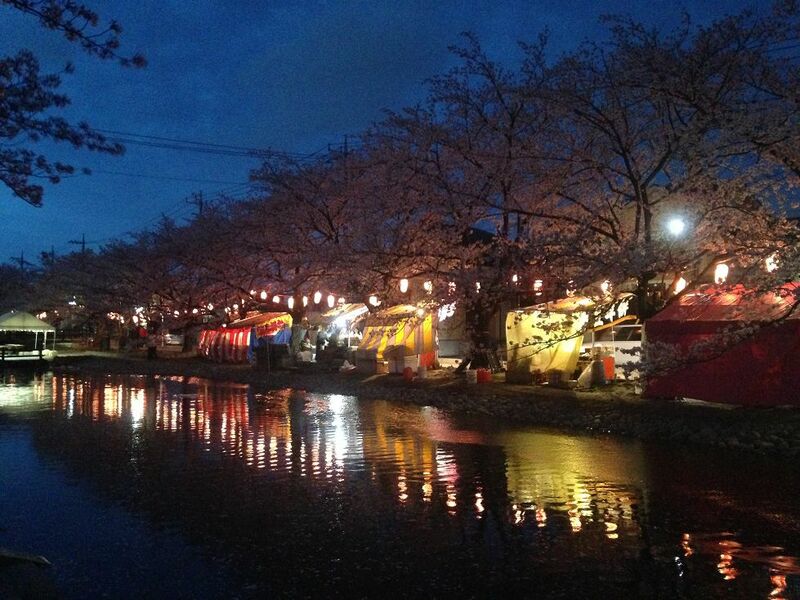 After it got dark the paper lanterns alongside the river were lit up and created a beautiful atmosphere lighting up the trees and food stands. 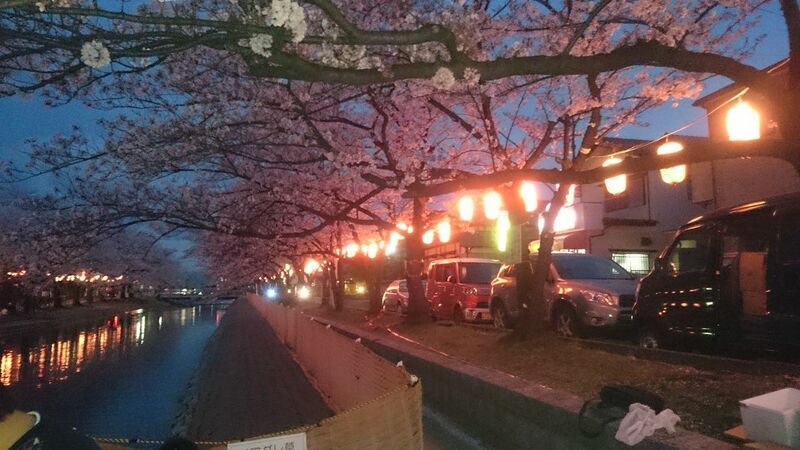 On the lanterns are the names of local companies printed because those companies pay every year a (voluntary) amount to ensure that the hanami spots are kept in the best state. 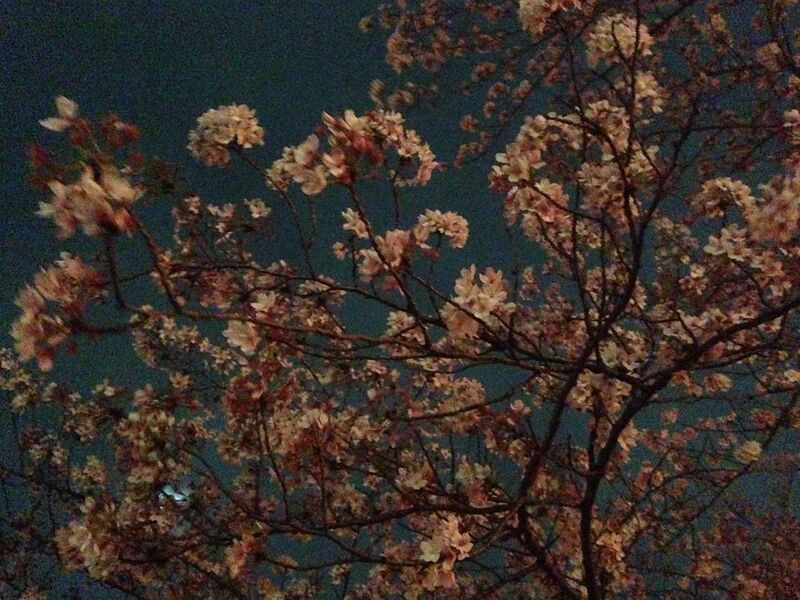 At night it’s really difficult to make good pictures with a phone, especially with strong wind, but I can assure you it really looked beautiful. 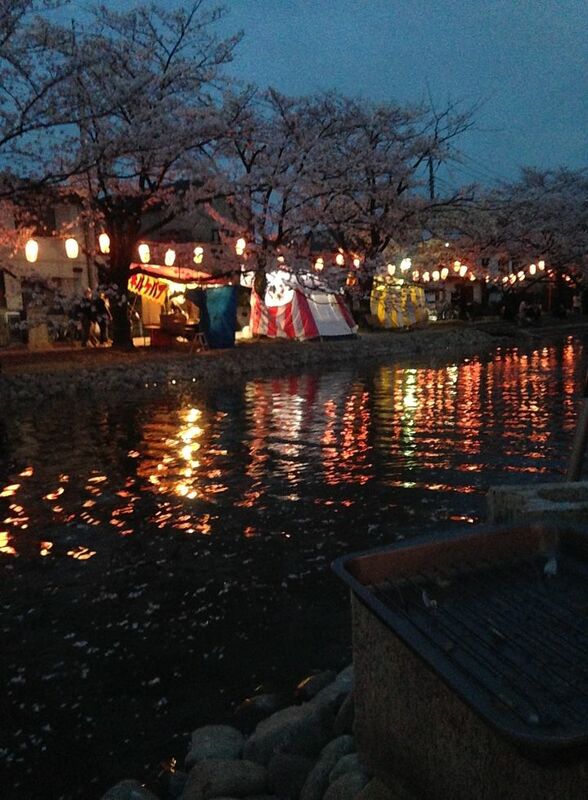 I had Hanami with friends before but we never went all out and brought a barbeque, etc. 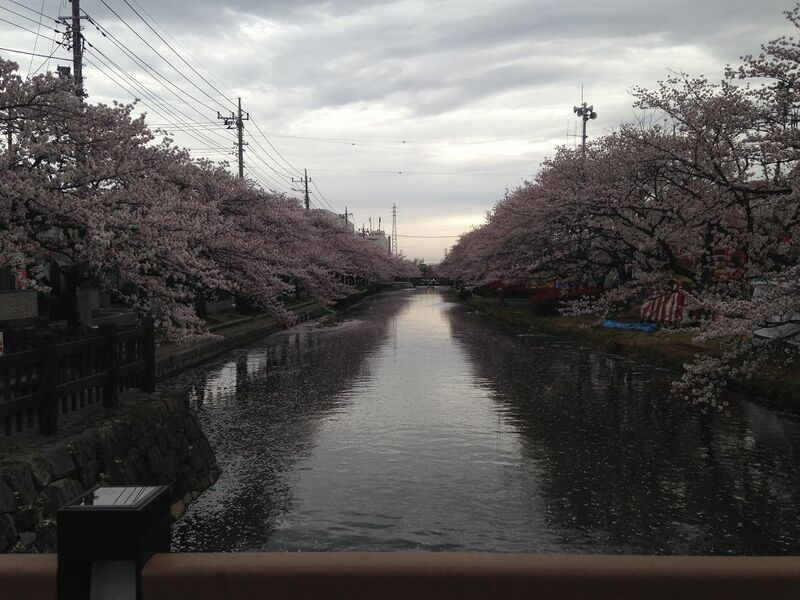 Natsukashiiii! 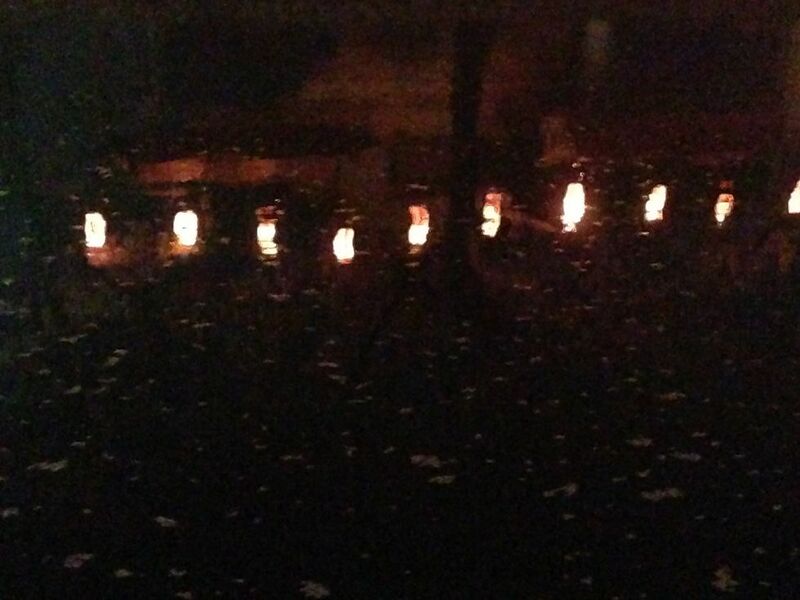 It was great fun to see your pics and the details were even better. 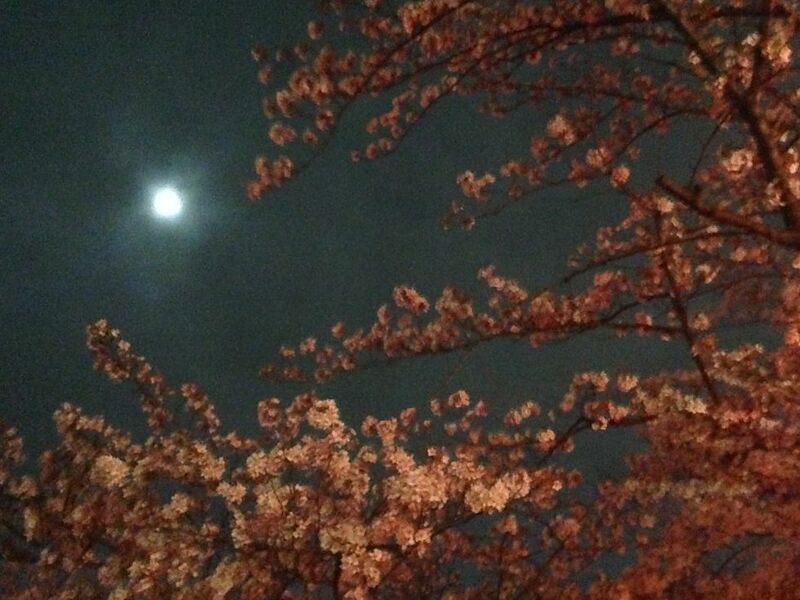 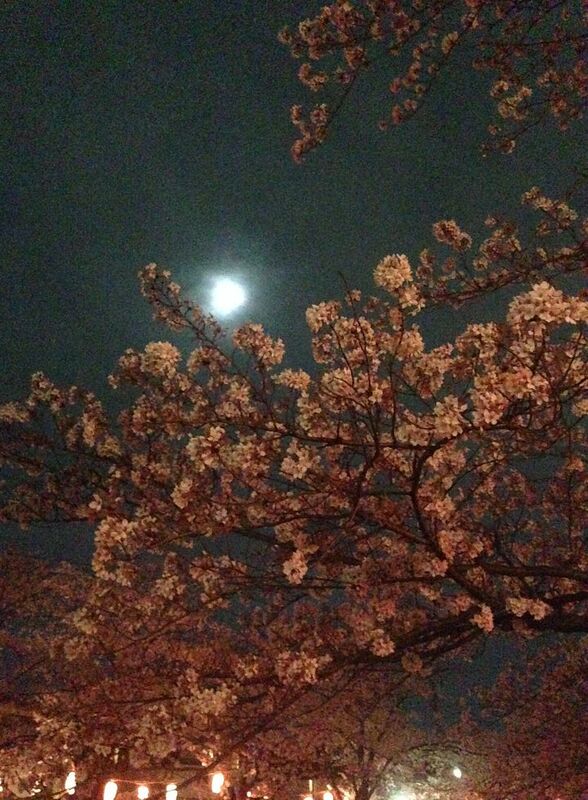 I adore sakura at night – such magic!